Beautiful setting for a beautiful home! The beautiful park like setting welcomes you as you pull in the circle drive. Stepping into the front door, you will see the large open floor plan with kitchen, living room, and dining. The newer black stainless refrigerator, stove, microwave/exhaust, and dishwasher are all included in the sale of the home. The home has a master bedroom suite with LOTS of natural light, and in the large master bathroom, you will find a walk-in shower along with a corner jetted tub. Two more bedrooms are on the main level along with a second living area, and in the basement you will find the large 4th bedroom. This home leaves little to be desired. 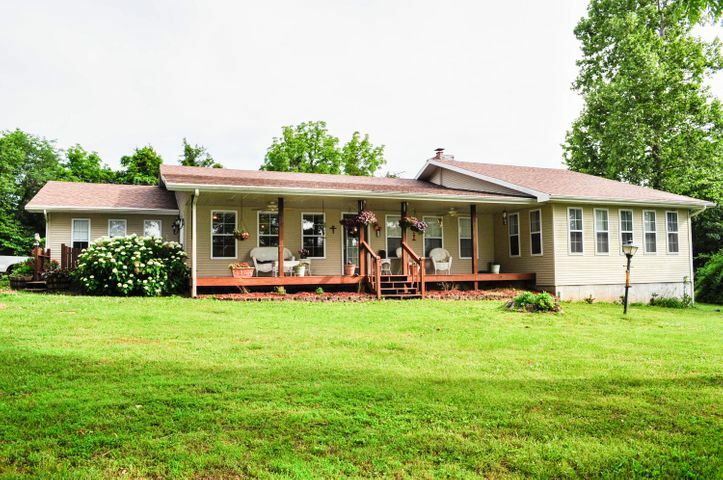 Perfect for a growing family with land to have a hobby farm and plenty of wooded area to hunt.